Delivering benefits through technology in healthcare has always been hard work. Far too many projects have delivered a fraction of the benefits that they promised (I’m looking at you EMR systems) and then complained about a lack of health provider adoption. We need to do better. These challenges are compounded by the fact that governance structures in healthcare are frequently complex, and the way in which benefits accrue within these structures has to be understood in order to appropriately manage change. The fundamental problem is this. Benefits often don’t accrue where the project work gets done. More simply, in healthcare, making one group of people do something differently often benefits an entirely different group of people. Now this dynamic is true in many industries. But in most industries, both of those groups ultimately report to the same person. Somebody who, for the benefit of the organisation, can mandate that it is appropriate for one group of people to change behaviour (potentially including more work), in order to provide a net benefit to the organisation. Unfortunately, when we look at many health systems, different part of those health systems don’t ultimately rise to a common point of governance. There is no single CEO in charge of all healthcare who can make it happen. For example, in Australia (and in the UK), primary care is a collection of many small (and a few large) businesses, but with completely different governance from acute / hospital care, specialists and allied health. Now I should note that this is generally not true in private health, where there is usually a single CEO who can make it happen. I’m thinking, however, particularly of countries like Australia and the UK that have “universal” health systems. In July 2012, Australia went live with the My Health Record (formerly the Personally Controlled Electronic Health Record). 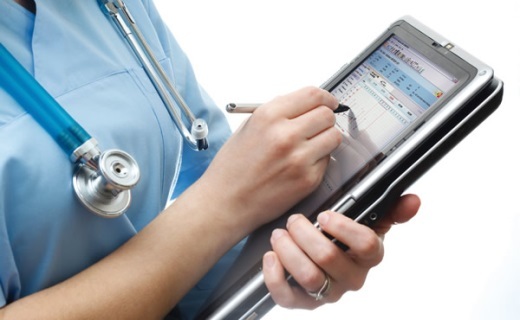 The system is a National Summary eHealth Record (based on the HL7 Clinical Document Architecture), allowing patients full control over which clinicians see what content. Patients have access to their data through a consumer portal. GPs are able to author and upload Shared Health Summary documents (including a summary of medical history, current conditions, medications and allergies, etc.) from their existing Clinical Information Systems, and to view clinical documents produced by other clinicians in other parts of the health system. Acute clinicians are able to author and upload Discharge Summary documents (including details of emergency / inpatient treatments, medications ceased and started, pathology and radiology information, etc.) from their existing Clinical Information Systems, and to view clinical documents produced by other clinicians in other parts of the health system. Allied health professionals and specialists can author Event Summaries. Clinicians are not paid to contribute clinical documents to the system. The My Health Record system is currently opt-in, meaning that consumers must choose to create their own record. Approximately 4 million Australians now have a record (~16.5% of the population). An opt-out approach is currently being trialled in some Australian regions, with a view to a possible National opt-out approach in the future. Despite significant investment, the My Health Record has struggled with adoption and meaningful use by clinicians, particularly in its early stages. A significant part of the underlying reason for this relates to the dynamics of investment versus benefit accrual. In order for the system to have value outside of primary care, GPs needed to author Shared Health Summaries. This meant that GPs needed to invest in IT infrastructure and do additional work to produce clinical documents, for value that largely accrued to the acute care sector (i.e. hospital doctors could see a health summary for a patient) – see the diagram below. All this was expected with no financial incentivisation, on the assumption that clinical documents flowing in the other direction would constitute a net benefit to GPs. That assumption doesn’t hold up. Many lessons can be learned from Australia’s experience, and applied to the challenges of digital health adoption in other countries, and as we move into the future. Rightly or wrongly, clinicians typically view “net” benefit through the lens of their local governance structure. In the case of GPs, this is their practice, which is often a small, privately held business. For acute clinicians, this is their hospital, or more commonly their department within the hospital. In order to realise the benefits of digital health through new digitally-enabled models of care, clinical change programs must recognise the complexity of the well-entrenched status quo. Programs that do not deliver a “net” benefit to each local unit of governance in lock-step will not succeed. This requires careful design of the clinical change components of major digital health programs. Experience shows that in a complex health system, the point at which investment is made in digital health (or eHealth / Health IT) is rarely the same place in which the benefits are realised. For example, Shared Health Summaries in the My Health Record are design to be authored by GPs, but the majority of the benefits accrue to the Acute sector, who can use these summaries to supplement their understanding of a patient. With no financial incentive for GPs (other than the net benefit to the overall health system), the vast majority of GPs are left to question why they would be involved. In the face of this unrecognised asymmetry, it is no wonder that GPs request further financial incentivisation for participation. Investment versus benefit accrual asymmetries are a key part of change program design. This is very true in public health care. The realisation of benefits takes many years and happens well after the implementation team have left the project and in many cases, the original business sponsors of the business case have also moved on. The true value of digital health emerges in new ways which were not even considered many years ago with the original business cases for eMR’s. Analytics, artificial intelligence and safety and quality monitoring are all new dimensions in which clinicians want to engage. A colleague constantly reminds me that to bring about change, it has to be engaging for clinicians. Analytics is a currency they engage with provided it is of interest to them.